Comptool Computers focuses on providing a positive experience for all of our customers. Our well-trained sales staff and highly-skilled technical team ensure that customers receive the products and support they need and deserve. 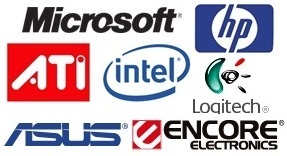 We sell whosale and retail computers, servers, and security products. The systems are built at our facility and have a 3 year warranty, giving customers the opportunity to custom-design systems to their specifications. CompTool products are quality solutions at competitive prices designed for any application. We repair computers, laptops, servers.